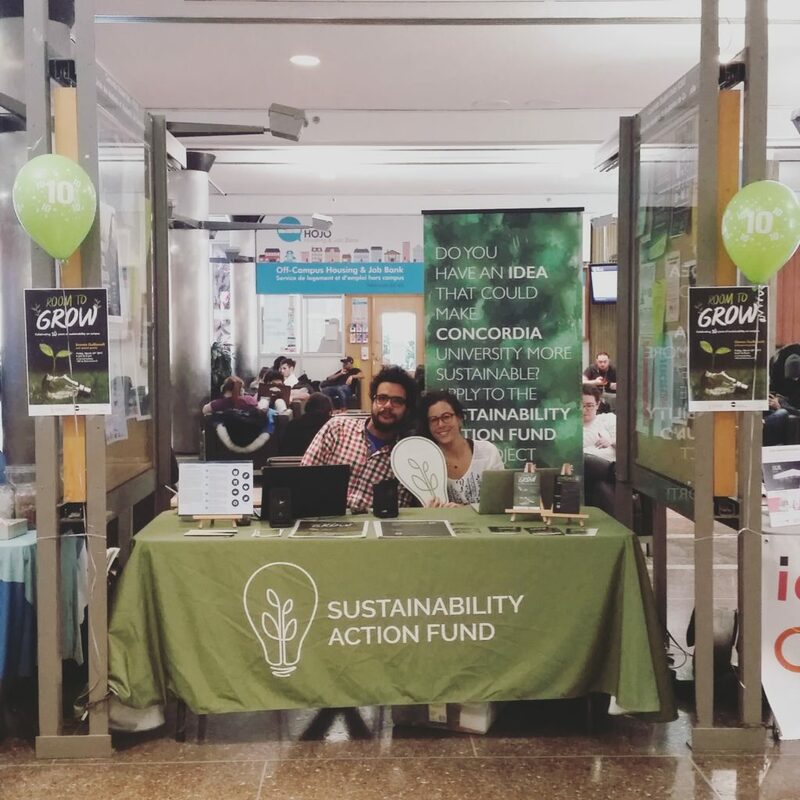 Monday, March 20th marked the first day of activities planned for Sustainability Action Fund’s (SAF) 10th anniversary week. From 11 am to 5:30 pm, the team tabled with select projects on the 2nd floor Mezzanine of the Hall Building. The Concordia University Center for Creative Reuse (CUCCR) and Collaboratoire tabled with SAF for the first half of the day, while Transform(er) and Concordia Hip-Hop Community joined for the second half. Following tabling, the team made it’s way to Cinema Politica Concordia. The SAF’s Nadra Wagdy and Justine Provost came onstage for the evening’s community announcements, encouraging the audience to attend a panel event hosted by the SAF this Friday to mark its birthday. Co-presented by the Sustainability Action Fund, this week’s film was David Lavallée’s award-winning 2016 exposé To The Ends of the Earth. Before it aired, the fund premiered their new commercial, a playful animation replete with bicycles, lightbulbs and greenery. The movie looks at the devastation caused by the pursuit and harvest of extreme fuel and urges the importance of investing in sustainable, green futures. This has been at the heart of what the SAF has done for 10 years on campus at Concordia. After the film, there was a Q&A session with the Vancouver-based director David Lavallée. More information about the SAF and the events planned for the week-long anniversary celebration was available from a table set up on the mezzanine of the auditorium.